One of the problems faced by brands and branding are the attempts to simplify it. Fortuitously this approach has yet to gain traction with the aviation industry! The business of building brands takes time. 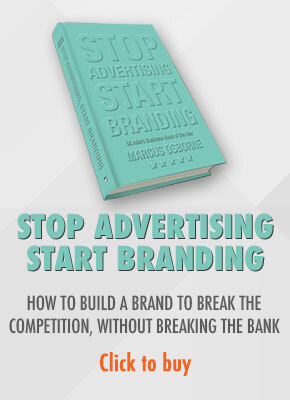 And as the business of brands and branding has evolved and the waters have become increasingly muddied, the only constant has been the influence consumers now have over the success or failure of brands. As a result, the role of the brand manager is increasingly irrelevant because her attempts to control everything related to the brand are obsolete and pointless because consumers are crafting the messages that are heard not the marketing department or the advertising agency. These are lessons that need to be learned in the political space as well. In Malaysia, the Prime Minister DS Najib Razak has a powerful personal brand but he cannot be expected to single handedly win an election. The key is to get all the other elements on brand. And anyway, as Tun Abdullah Badawi knows too well, a high approval rating is no guarantee of a big election win. Historically, creating clearly defined messages and broadcasting them across traditional media was enough to build a brand or political party but today, this model alone, can no longer be relied on to educate, inform and convince. Today, the first thing a consumer will do, assuming they hear the message through all the clutter, will be to determine if the message fits in with their own experiences. If it doesn’t, they will discard the message immediately. Secondly, consumers will discuss the message with others who they know and respect and explore their experiences and perceptions. Thirdly, consumers will seek the opinions of those they may not know. This is normally done across social media. Only once consumers have absorbed all the information will they make a decision. If the promises defined by the organisation, whether it be a political or corporate one do not match the consumers own experiences or those of her friends or acquaintences, the message will be discarded. No matter how much money is spent. If the response is favourable, the consumer may seek to experience a physical interaction with the brand, perhaps through a retail outlet, website or political rally. If any of these experiences are negative, the consumer will walk away from the brand, and it will take a superhuman effort to get them back. 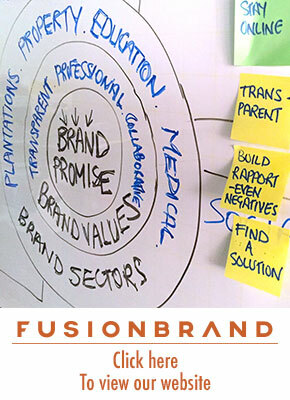 A brand, whether political or business, requires every division, department, individual – from the tea lady to the CEO, or from the branch leader to the state leader to the divisional leader etc – to know and understand what they have to do to achieve clear strategic goals. Only then will the brand survive and thrive. « Is Facebook right for your brand?